Kick your feet up. Rest them on the deck railing, hands behind your head, and stretch. Now close your eyes gently and listen to the relaxing sound of a waterfall gently cascading around the Koi, water lilies, and cat tails thriving in your pond. This is the world of "the water garden". It effectively serves as a back yard haven, a world of natural, holistic, and organic streams, ponds, water falls, and wildlife... a place for pure, peaceful pleasure. 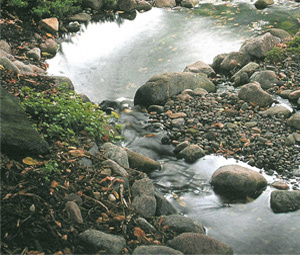 Aquascape Water Features has been providing pond and water garden construction, product sales and service in and around Mississippi for over twenty years. We are a certified retail dealer/distributor and contractor (installer) for Aquascape products. We're highly qualified and experienced in our field and we use only the best and most cost-effective water garden supplies and equipment, always keeping our delicate environment in mind. You, too, can own a magical piece of paradise! Choosing a Certified Aquascape Contractor is one of the best decisions you can make when looking to install your own backyard paradise. 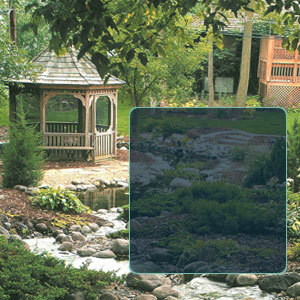 Contact Aquascape Water Features TODAY for additional information or to set up a FREE, no obligation consultation. Now snap your fingers…very gently... and stretch again. Be sure to see the "Biofalls®" Filtering Systems! We've got fittings & couplings, adapters & clamps... everything you need for your backyard garden!